This month we continue our look at the differences in spending between regions in the North Island. On 1 July Aucklanders started paying an extra 11.5 cents per litre for fuel, following the introduction of a new tax designed to boost funds for regional transport projects. This is on top of already above average fuel prices. Fuel prices published by MBIE showed the national average price for 91octane at $2.22/litre on 6 July, up 19.4% on the same time a year prior. Given the dispersed nature of the city, and limited public transport options, many residents rely on private transport to get around. While some Aucklanders have their fuel costs covered by employers, either by company vehicles or fuel cards, many people cover their own transportation costs and have little option other than to pay more for fuel. We think it’s safe to say that wages haven’t risen to the same extent as costs, so meet the increase in cost money is moved from other parts of the household budget. Even though the new tax has only been in place for just over two months we are starting to see a change in distribution of Aucklanders’ wallets. Looking at the distribution of Aucklanders wallets over the last 12 months we can see a few differences to other North Islanders purchase patterns. Most notable is in food consumption, which typically accounts for around 45% of the budget. 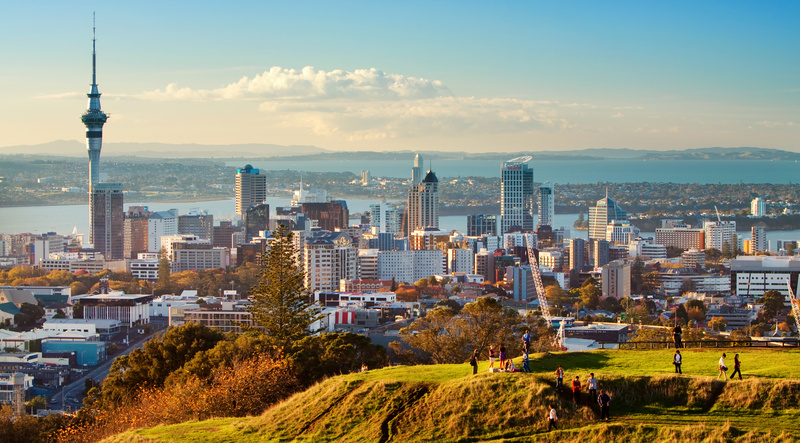 In the last 12 months Auckland was 44.8%, while the rest of the North Island was slightly higher on 45.4%. The breakdown of this spending is interesting however, with Aucklanders spending 10 percentage points less of their budget in traditional supermarkets compared to people living in other parts of the North Island. In Auckland supermarkets account for almost 10% less of the overall ‘pantry’ with Specialty Foods, Hospitality and Takeaways taking a greater share of the budget than other parts of the North Island. While this is in part reflective of Auckland’s younger and more demographically diverse population, there is also an element of a different lifestyle for Aucklanders. So, what happens when you have to start paying more for fuel? Interestingly, Aucklanders already spend less on fuel as a proportion of their total budget, compared to other North Islanders (9.3% vs 10.3%). This will be a mix of company paid transport, a more competitive fuel retail market and the younger demographic. 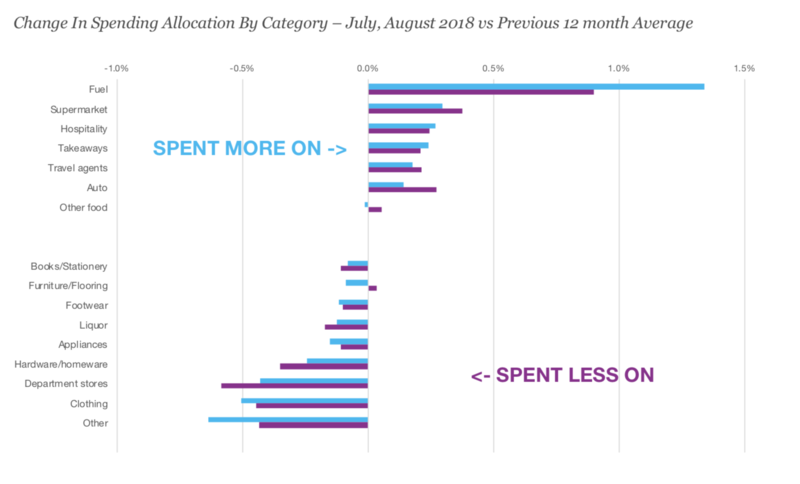 It’s interesting to note that both regions show a similar spending profile, and a continuation of a reasonably long-term trend of ‘experiences’ over ‘things’. For both groups we seen an increased share of spending going into these storetypes e.g. hospitality and travel. These increases came at the expense of storetypes like Hardware and Homeware, Department Stores and Apparel. This data just picks up bricks and mortar spending, so doesn’t account for the transfer to online purchases in the ‘things’ categories. That said, even as fuel prices increase, we are not seeing people go without some of our creature comforts – coffee, cafes and away from home eating. It will be interesting to see how this trends evolves over the coming months as higher fuel prices become more of a reality. « What could a global trade war mean for Kiwis?